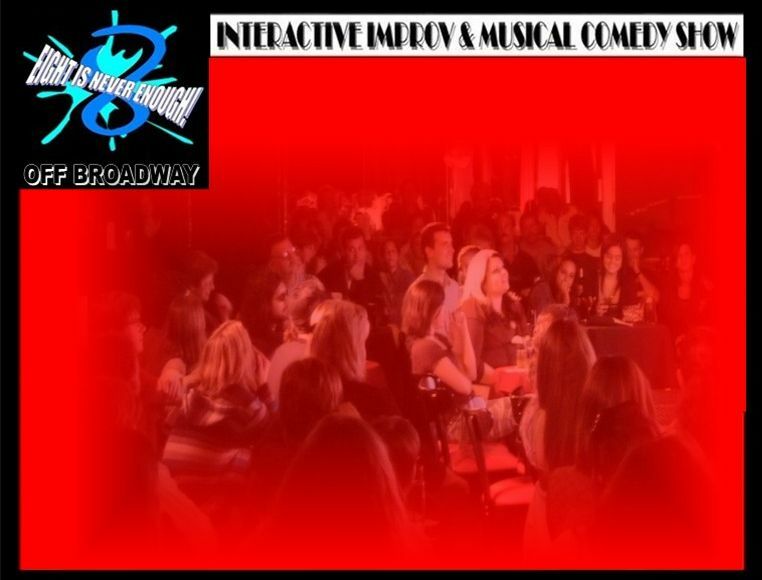 Live Comedy and Improvisation, improv comedy shows, offbway comedy shows, improvisational theatre, musical comedy, cabaret and improvisation, NYC, NY Comedy, Family Shows, Shows for Kids, School Field Trips, Special Events, After-Proms, Party Rentals, Party Bookings, Comedy for All ages, Times Square, New York, NY, Summer Run, Now playing Off-B'way in the heart of Times Square. Comedy Shows new York, Half Price Tickets, Discount Theatre, Nightlife, Clubs, NY Parties, Singles Nights. Group Outings. Comedy Night Events, Fundraisers, Banquets, Upcoming Comedy Events, Improv Theatre, Improv Comedy Theater, New York Theater, Off-Bway and beyond. Comedy Arts and Entertainment, Comedy Entertainers, Theatre, Improv, Now Touring! "Eight is NEVER enough!" is currently available for group bookings at the Laugh Factory in Times Square. Come see one of the funniest shows in NYC at the Largest Comedy Club in the world! Eight is NEVER Enough! 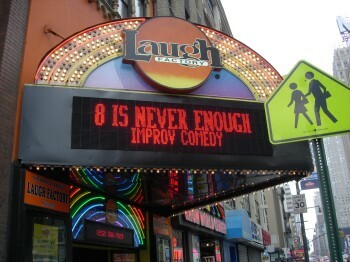 Presents the Off Broadway Run and NYC Tour at the Laugh Factory & Stand Up NY!